A two day itinerary for Spring in Paris. First things first, I have to admit: Im an obsessive flight deal searcher & in victory, we flew DIRECT from Boston to Paris for $175 on Norweigan Airlines! 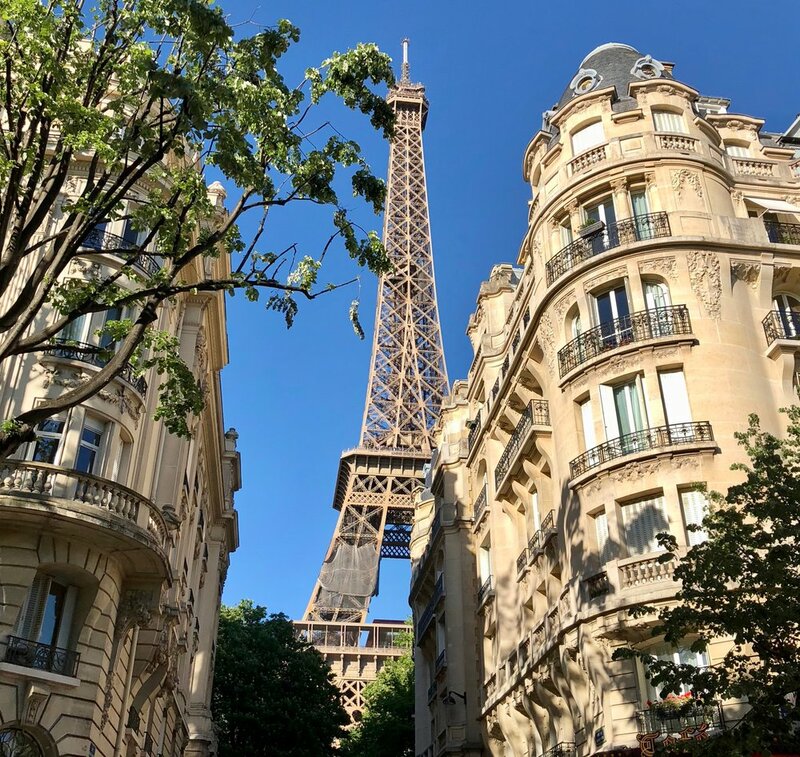 In the height of Spring - the loveliest time to be in Paris..
- Staying at Hotel Les Theatres we were perfectly located about a 15 minute walk to the Louvre & surrounded by awesome shops & restaurants making the walk to the sites a sight in itself! - We took the long way to the Louvre & stopped by the Coco Chanel original store & grabbed a crepe for the walk! 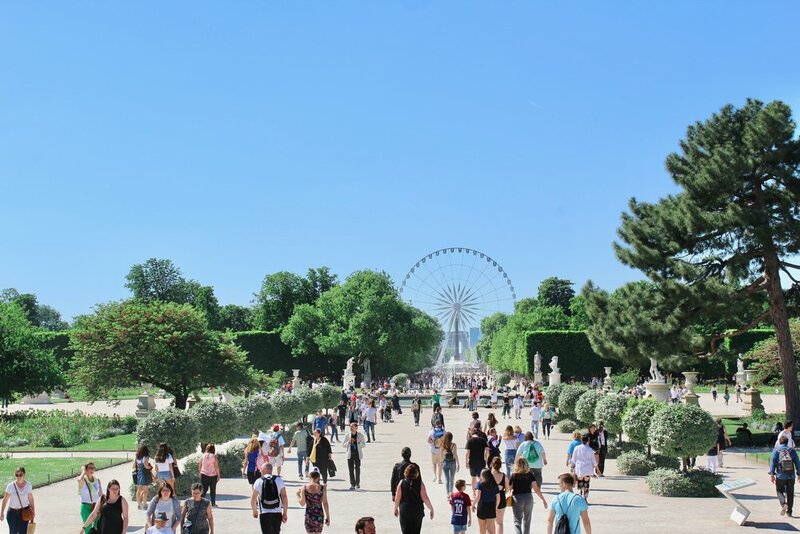 From here we approached the Tuileries Garden & strolled through to get to the Louvre. - After this we took an Uber over to the Eiffel Tower for a picnic in the park & to watch the sunset. 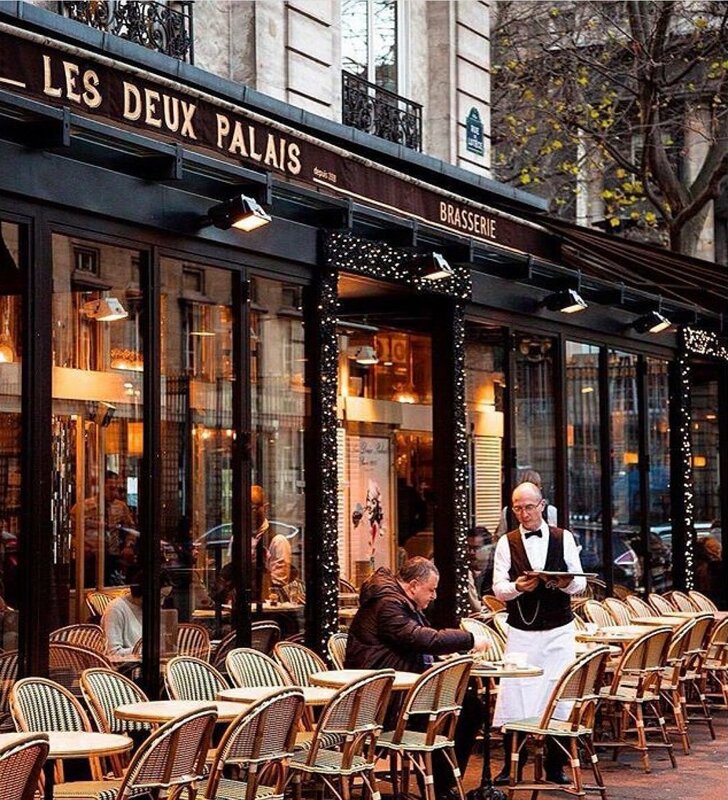 - We started the day by heading towards Notre Dame & stopped along the way for some breakfast at Les Deux Palais, a cute sidewalk bistro in classic parisian style! 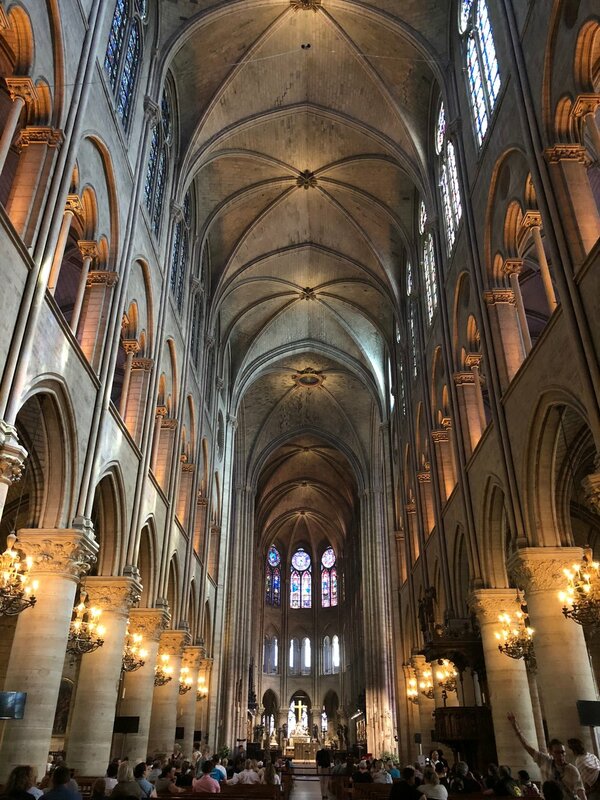 - Notre Dame is a obvious must see from the architecture, stained glass to the gargoyles up above. The place is GORGEOUS from every angle! - We then strolled through the Latin Quarter for some treats & a cocktail break before heading over to the Luxembourg Gardens. - The Luxembourg Gardens was the perfect place to lay out a blanket on a beautiful 80 degree day & people watch on the beautiful grounds. They have boat racing (think Stewart Little), Pony rides, restaurants, basketball courts & beautiful statues throughout the grounds. - After this we took a long walk before eating dinner at Bistrot Victories, which I HIGHLY recommend for amazing food at a surprisingly reasonable price. Being only a short 2.5 hour flight from Boston, I'm honestly a little embarrassed to admit this past September, was my first time visiting Chicago! Ive always heard how similar it is too Boston & that I would love the architecture - all true! The Windy City is now officially one of my favorite cities in the U.S.A! With a lot of advice from friends on what to do, where to go & what not to miss, we built a jam-packed itinerary that included some chill time & lots of fun, making 4 days feel more like a week! Check out our itinerary below & if you haven't yet been to Chicago, get it on the to do list ASAP - the Windy City does not disappoint! Quick Tip - Avoid Chicago traffic at all cost! It took us about 1.5 hours to get from O’Hare to downtown because we landed around 4pm. We took an Uber but if we were to get a do over, the "L" would have been much faster! We stayed downtown at the Silversmith Hotel which was perfectly located in the middle of all the sightseeing action & a block away from Millennium Park. HIGHLY RECOMMENDED! Our first MUST do was to get genuine Chicago deep dish, so we took the scenic route down State Street to Lou Malnati's. With a 2 hour wait to be seated, we opted to take it to go & headed for the jazz festival in millennium park for an impromptu picnic. Millennium park at night sans the jazz festival would have still been cool with the light up fountains, the bean being a little bit less busy for photos & an awesome reflection of the lit up Chicago skyline. After the festival, we made our way across the street to finish out the day with a nightcap at the super impressive, Cindy's rooftop. Of course we started the morning out on another foodie adventure but this time for Donuts! We again, took the scenic route through the beautiful downtown streets & ended up at Do-Rite Donuts - Get here early for the best selection. We headed back to Millennium Park for some daylight photos with the bean. (Holy moly, nothing can prepare you for the crowds at the bean in the afternoon!) If I could do this again, I would plan to go much earlier, like 7am! Yes, that would be serious commitment but the photos would be worth it! Again, being centrally located was a huge advantage for us as Millennium Park is right next to The Art Institute of Chicago & I got to see my very first Picasso! We had to leave after about 2 hours & felt like we could have stayed the entire day so definitely leave enough time to not feel rushed, this museum is HUGE! The reason that we were visiting Chicago was for a good friends wedding at the Zhou B Art Center - so we spent the rest of the evening dancing among some more art & great company. As huge fans of Fenway Park, we of course needed to check out Wrigley field. We headed over to Wrigleyville early to find a place to get brunch (tons of options!) & then made our way into the game. One thing I found so interesting about Wrigley field was the surrounding real estate. All of the surrounding houses have bleachers on the roof, adding to the vibe of the park being in the middle of a neighborhood. After the game, we stopped in Sluggers Bar for a beer and the indoor batting cages. They happened to also have dueling pianos going which is always fun! We left Wrigleyville & headed to Old Town for lunch. A friend recommended the Rabbit Hole, for some upgraded bar food & a few more beers. Across the street form the Rabbit Hole was a bar called the Happy Camper which was PACKED & apparently has swings inside. After being at the game, we were looking for a smaller crowd but it is on my list for the next visit! This was our last full day in Chicago & we still had a few things on our list to check out. Our day started out with brunch at Smoke Daddy BBQ with amazing bloody mary's, monkey bread & brisket. We then headed over to the Hancock Tower observatory to check out the view. TIP: We sort of feel like we got tricked here.. You can totally go up to The Signature Lounge at the 96th for a cocktail & amazing views with only paying for your cocktail but we got tricked into paying to go up to the observation deck on the 94th floor & then for a cocktail (beer & wine only on this floor). Since we weren't there for the tilt ride, it was poor planning on our part but the views are amazing from both the 94th & 96th floors! While walking back towards the Millennium Park area, we came across the Nutella Cafe. Since I'm in love with Nutella, I obviously HAD to go in - yes, there was a line - yes, it was crowded - yes, it was worth it. Finishing the night with an amazing Italian dinner at Volare - HIGHLY RECOMMEND! With a 1pm flight, we had just a few hours to check out some of the work by one of my favorite architects, Frank Lloyd Wright. We headed over to Oak Park & got on the first tour. One of the main things that I admire most about FLW is his attention to detail, respect for nature & the way he designs every room with a useful purpose - leaving each space both unique & functional. Fun fact: we also share a birthday! I highly recommend taking a Frank Lloyd Wright tour if ever you have the chance! Chicago, you are definitely my kind of town!